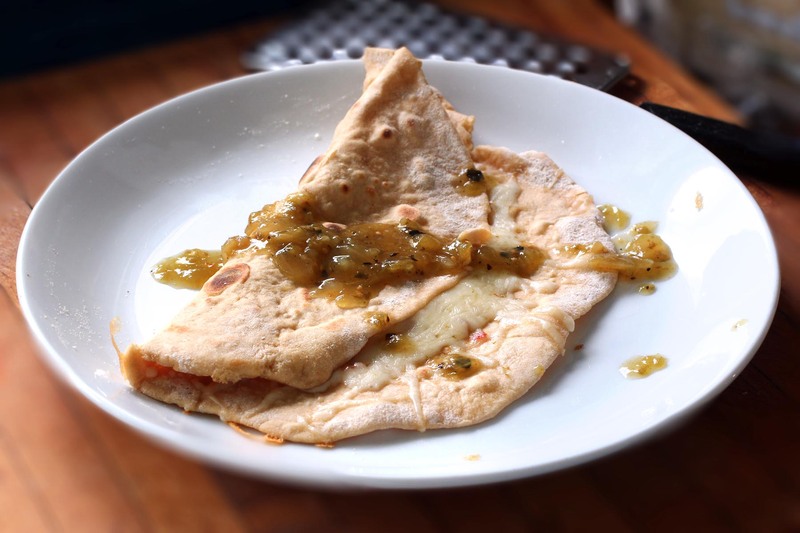 Add cheese in the second stage of cooking and transform these fresh homemade tortillas, made with 100% whole wheat pastry flour, into delicious yup you made that quesadillas. 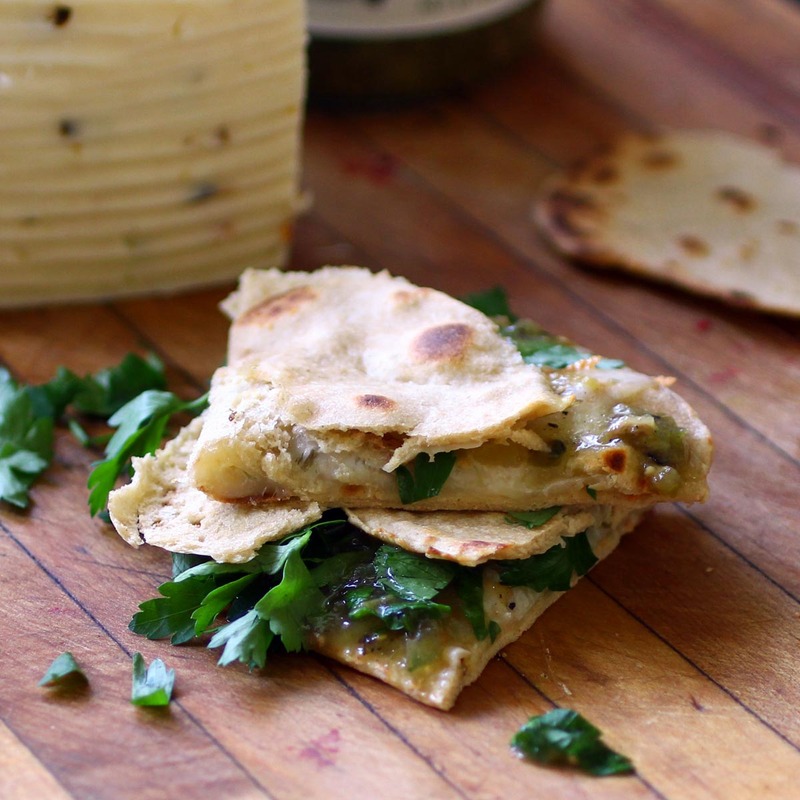 Homemade tortillas are best made in winter when you have the ingredients in the pantry and the weather outside is just frightful enough that going to the store seems an awful chore. The pot of chili is already simmering away in the crock pot but you don’t feel like cornbread- or you’re out of corn meal and a trip to the store seems like an awful chore. So let the wind howl and the snow fall just hope the power stays on and you are safe and warm and eating a batch (and you will eat the whole batch) of homemade tortillas. There is one horrible side effect. Once you make your first batch of homemade tortillas you will always feel a pang of guilt- almost unbearably large the first time but that grows smaller with each purchase- when you buy store-bought. I can make those, you’ll think, homemade is SOOO much better. And you can, and they are. But it doesn’t have to be every time. Really. It’s okay. Recipe adapted from Homesick Texan and Mark Bittman’s how to cook everything. Yet another dough I now make in the food processor. Combine the dry ingredients in the bowl of a food processor fitted with the dough blade, pulse until thoroughly combined. Slowly add the warm milk and process until dough forms a ball and is soft but not sticky. 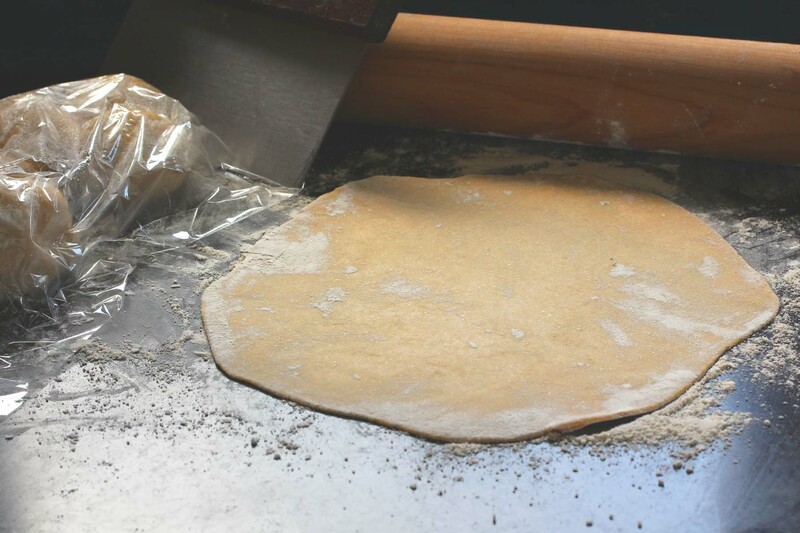 Put on a lightly floured surface and allow to rest, covered, for at least thirty minutes but up to several hours. Preheat an unoiled 12 non-stick pan. Cast iron is the only nonstick I use. Leaving the remaining dough covered roll out balls into ten inch tortillas. 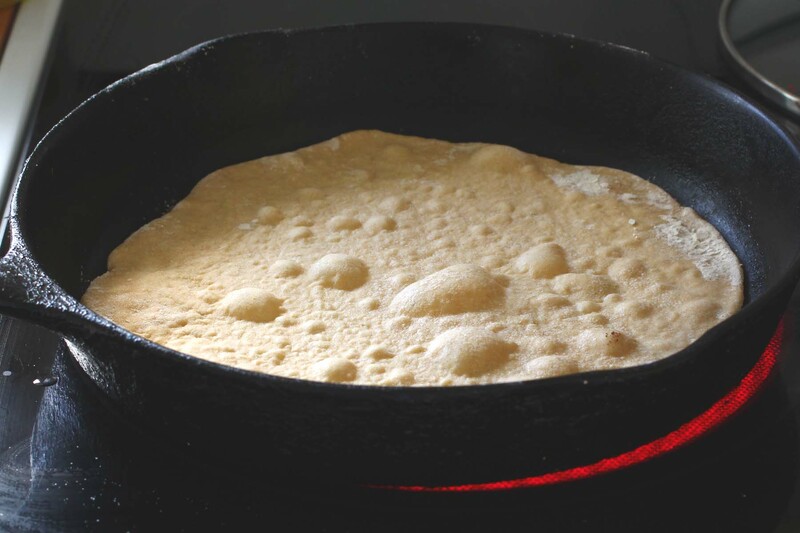 Cook the tortillas in a 12 inch dry cast iron skillet preheated over a medium high heat. About 30 seconds a side. 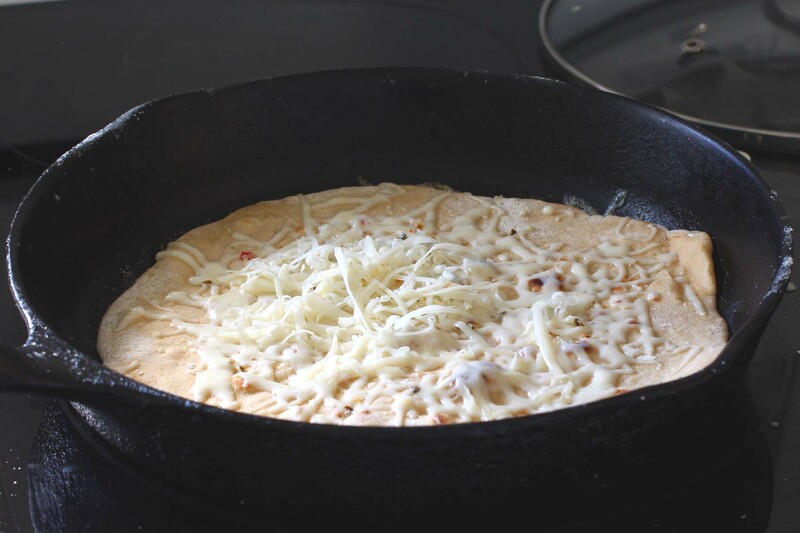 To make the fresh tortillas into instant fresh quesadillas add grated cheese after the first flip of the tortilla. how long do these keep after cooking them? I’ve never had any last more than an hour or so after cooking so I can’t say for sure but I imagine the shelf life is pretty short before they get stale. I have, however, set some of the uncooked dough aside in a ziplock bag and made up a fresh tortilla three or four days after making up the dough. I leave it in balls and roll it out ‘ to order’ but I imagine you could pre-roll the dough and separate the uncooked tortillas with waxed or parchment paper.